Both The Beatles and The Move delved into the psychedelic during their Sixties journey, as did not a few other bands trying to find their feet as the decade came to an end. It should therefore come as no surprise that, of all things, there should be artistes in the here and now who are still exploring that territory. Apology None, who are no strangers to long time readers of elobeatlesforever (elobf), are a group with a difference in that they also double up as a cartoon! As if to underline that fact, the inner inlay of the CD tray states: "Hear our tunes and watch our toons!" ... and so you should. 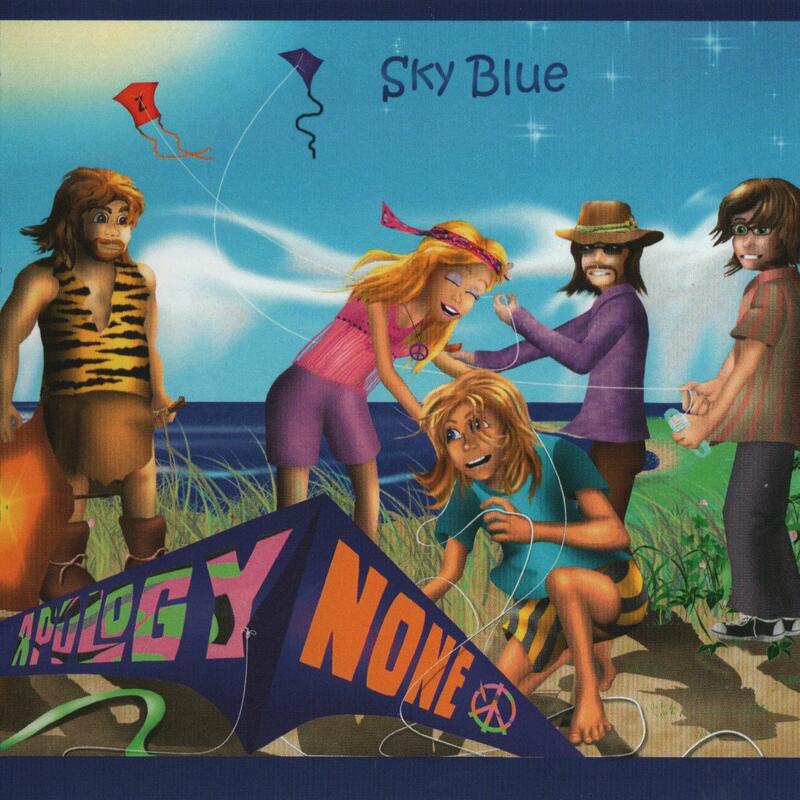 Trax:  "Trust Me";  "Lost In Your Sunshine";  "La La Remember It";  "Real";  "Higher High";  "River Dragon";  "Anchor Me";  "Journey Jeannie";  "Jesus Fly Me Like A Kite";  "Calling Cathy Hollingsworth";  "Here We Are";  "Sky Blue"
elobeatlesforever (elobf) recommends "Sky Blue" by Apology None to those enlightened folks who enjoy the music of ELO, Jeff Lynne, The Move, Roy Wood, The Idle Race, 'Brum Beat', The Beatles and related artistes. Excellent review of Psychedelic Rock's grooviest cartoon band!